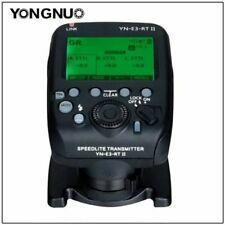 YongNuo YN-E3-RT Transmitter Condition is Used. Shipped with USPS Priority Mail. Transmitter Only. Never used but I don't have box or insert. 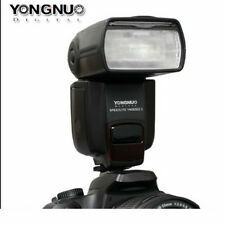 Yongnuo 560 II Speedlight Flash. Condition is good, used condition. No blemishes or damage, clean. 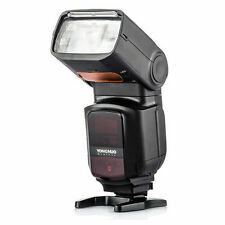 Used only a handful of times as a secondary flash set-up. Shipped with USPS Priority Mail. *Must hold power button down for up to 3 seconds to turn on. Please contact with any questions. Used once in excellent condition. 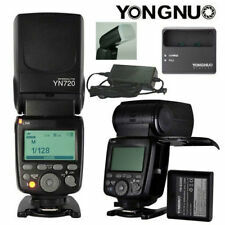 yongnuo yn-560 iv canon. Condition is Used. Shipped with USPS Priority Mail. 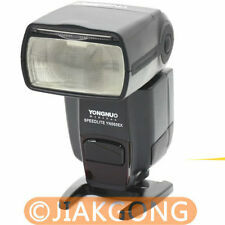 YONGNUO AC Adapter FJ-SW1202000U. 1 x AC power adapter (US plug). 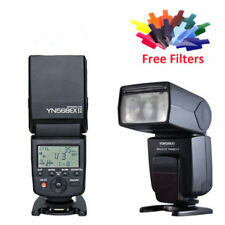 YongNuo speedlite flash diffuser for YN560, YN565 and YN568. 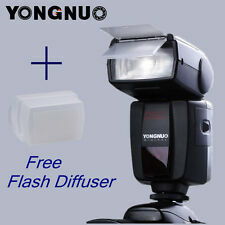 This original made by Yongnou flash diffuser that was designed specifically for a Yongnue YN560 and YN565 series of flashes. A must have for a portrait, product shooting and micro photography. There is also Yongnuo YN360 5500K only version. The YN360 also provides socket for a DC power adapter (8 V 5 A). 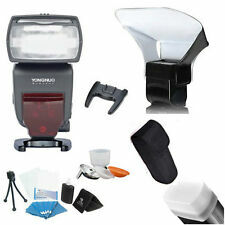 1 x Yongnuo YN360 Video Light (3200K-5500K). 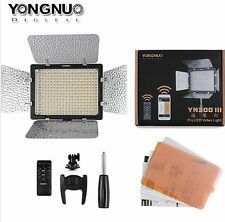 YN360 LED light. Color temperature: 3200K, 5500K and RGB full color. Fully compatible with YONGNUO radio transmission trigger signal of YN720/ YN685/YN560 IV/YN660/YN560 III/YN560 TX/RF605/RF603/RF602,there are 16 channels available for choice, the effective trigger distance is up to 100m.